Courtesy photo/Gloucester Daily Times. 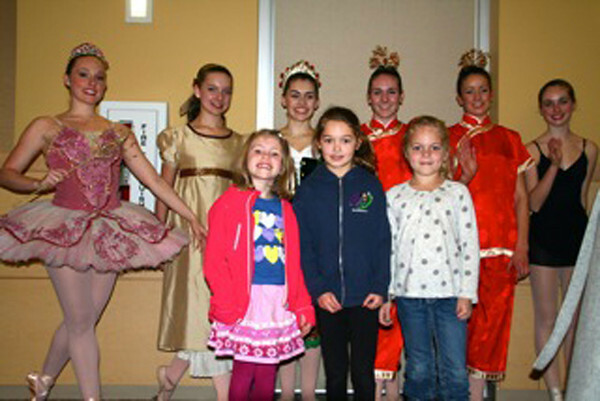 Manchester: Northeast Youth Ballet performing for Manchester Memorial Elementary School students recently at the Manchester Essex High School. From left in the front row are second graders Callie Perkins, Ainsley Tully and Carter Lockwood. In back are dancers Danielle Valdez, Serena Bourque, Jessica Griffin, Anna Whalen, Ellen Dudley and Hannah Wells. The dancers performed an abridged version of The Nutcracker and then held a question and answer session with the younger pupils.